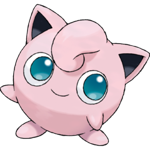 Jigglypuff is the thirty-ninth Pokemon on the National Pokedex and was introduced in Generation I (Red, Blue, Yellow). 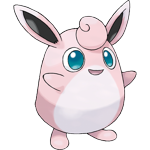 Jigglypuff is a Normal/Fairy type Pokemon. Prior to Generation 6, it was a Normal type Pokemon. 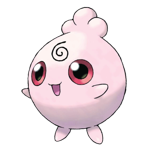 It is a Stage 1 Pokemon (Basic in Generation 1) that evolves from Igglybuff based on Happiness and evolves into Wigglytuff by using a Moon Stone.